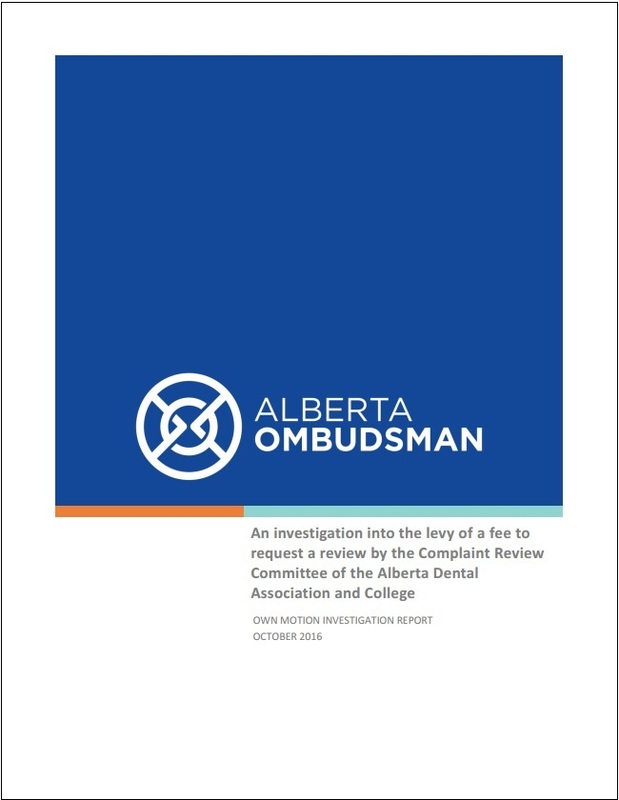 An Alberta Ombudsman own motion investigation has led to changes by the Alberta Dental Association and College (ADAC) that will improve access to the organization’s complaint review process. 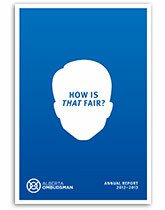 The Ombudsman’s investigation, launched in December 2015, was triggered after receiving complaints from Albertans asked to pay a $500 fee to request a review of the regulatory college’s decisions by its internal Complaint Review Committee (CRC). 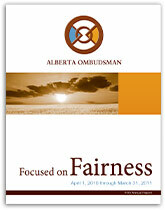 Peter Hourihan, the Alberta Ombudsman of the day, acknowledged the ADAC council met recently and passed a motion to reduce the fee to $200 and implement a process to allow complainants to request the fee be waived. However, Hourihan noted the college could have gone farther. A complaint made to the Ombudsman by an individual, whose application for funding for Gamma Knife Neurosurgery was not approved, resulted in an own motion investigation into the administrative fairness of the funding approval process used by Alberta Health’s Health Insurance Programs Branch. 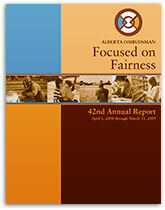 While our investigation determined that between April 19, 2010 to November 19, 2012, the department did not consistently follow the policy for funding applications, the Ombudsman confirmed the failure to follow policy did not adversely affect applications. 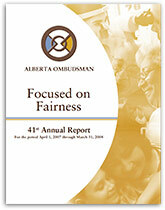 While there are no specific recommendations arising from this investigation, the Ombudsman noted it is important for administrators of special funding programs to periodically review governing legislation to ensure public information about the program reflects the legislated funding criteria. If the program criteria are clear and concise, the funding criteria should flow from the legislative authority, and be clearly communicated to applicants. 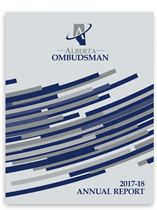 An Alberta Ombudsman review of the Student Aid Alberta program has led to changes by the province to improve information and transparency regarding the student loan review process. 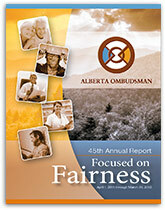 The Ombudsman’s review, finalized in July 2015, was triggered by a student inquiry about the review process. The Ombudsman found there was insufficient information on Alberta Innovation and Advanced Education’s Student Aid Alberta website regarding available avenues of review related to student loan decisions. 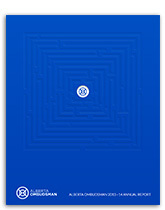 Student loan award and review decision template letters contained inadequate information about how to access the process and the available next steps in the review process. The problem extended to all public information available to students and their families about what happens when they receive a decision about their student loan funding application. After advising the department of the Ombudsman review, we learned the department had already begun work to revise the entire review process and make it transparent and understandable for students. 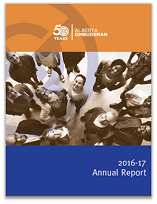 The willingness of Student Aid Alberta to work with the Ombudsman allowed for our input and resulted in a number of changes being made to policy, communication materials such as the website, forms and correspondence, and procedures. 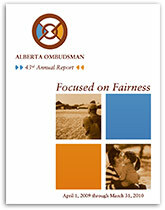 The Alberta Ombudsman will continue to provide oversight on this matter, and monitor the department’s implementation of these changes. 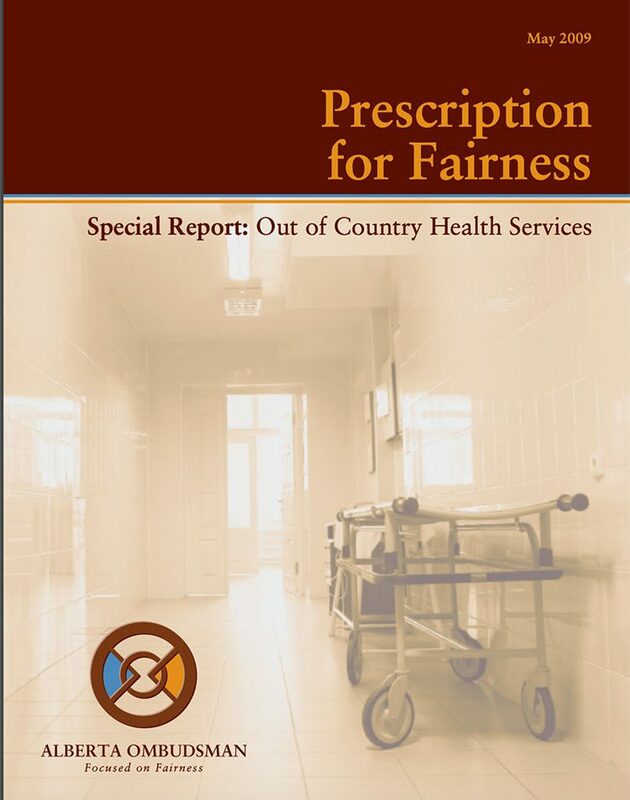 A public report entitled Prescription for Fairness – Special Report: Out-of-Country Health Services, was issued pursuant to Section 28(2) of the Ombudsman Act. 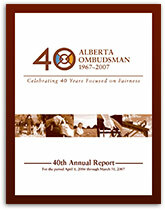 The Alberta Ombudsman, of the time conducted an investigation, under his own motion, pursuant to Section 12(2) of the Ombudsman Act in response to a number of complaints brought to his attention. His investigation focused on whether the provincial department of Alberta Health and Wellness (now known as Alberta Health) met the needs of Albertans in accessing out-of-country health services that are either not available in Canada or are not available in a reasonable timeframe. how decisions are conveyed to Albertans. 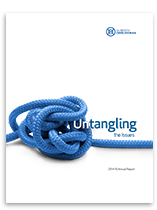 This report remains relevant today, as we continue to hold the Committee and Appeal Panel to the standard established by the report.